Which bathing type am I? Ahlen, August 2015. – Gone is the time when the bathroom was used entirely for personal hygiene. Home owners today want their bathrooms to provide a relaxing haven of well-being, a place to linger. As a result, the bathtub has come to play an increasingly important role in bathroom design. A brief typology of bathing shows that there is a product solution for any user type. Indulging body and soul with a relaxing bath. The bathing belle celebrates the bath as a luxurious wellness programme, always looking for the latest beauty products. The beauty sensation ‘Kaldewei Skin Touch’ is absolutely made for this user type: the system uses the revitalising effect of pure oxygen, providing an incomparable bathing experience with a cosmetic effect on the skin. Microfine air bubbles are released into the bath water, producing an instantly noticeable anti-aging effect. The result is more supple, smoother and younger-looking skin after just one bath. Kaldewei Skin Touch brings a completely new dimension of deeply satisfying relaxation and body care to the bathtub. Energy boosters are focused particularly on their health and take a bath to regenerate the body when fatigued. They know of the regenerating effect a whirl bath has after sport, for instance, when massage jets of air and water work to loosen the muscles and relieve tension, preventing stiffness and aching. 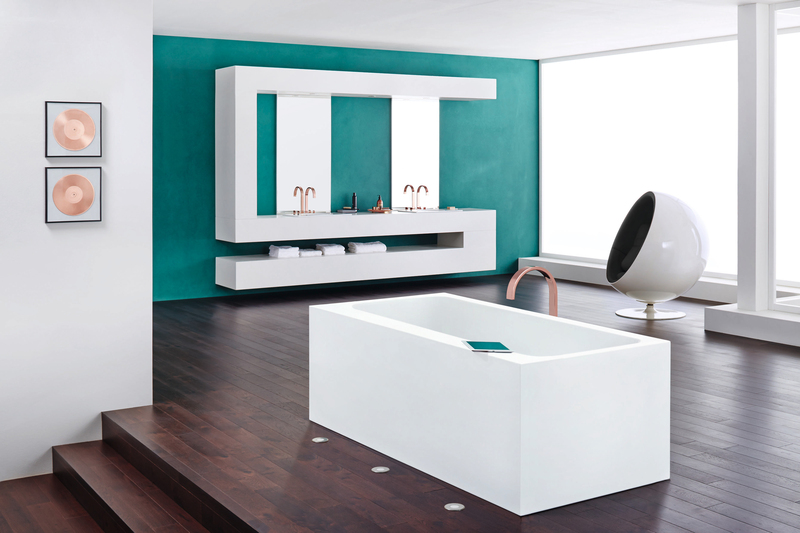 Kaldewei offers seven different whirl systems, in combination with bathtubs made of Kaldewei steel enamel, for this individual wellness routine. Energy boosters also like to take a bath to stop a cold: the warm water combined with a bath additive such as eucalyptus or thyme creates a therapeutic effect that is beneficial to the health. And with a pore-free surface, the bathtub made of Kaldewei steel enamel is very easy to clean after the bath. Leaving the day behind and recharging the batteries. The bathtub for the downtimer is a place of retreat. A nice, hot bath marks time out after work, , a stressful day, and the daily responsibilities. Downtimers want time to themselves and therefore like to bathe on their own, making the Meisterstück Emerso bathtub for a single bather the ideal solution. 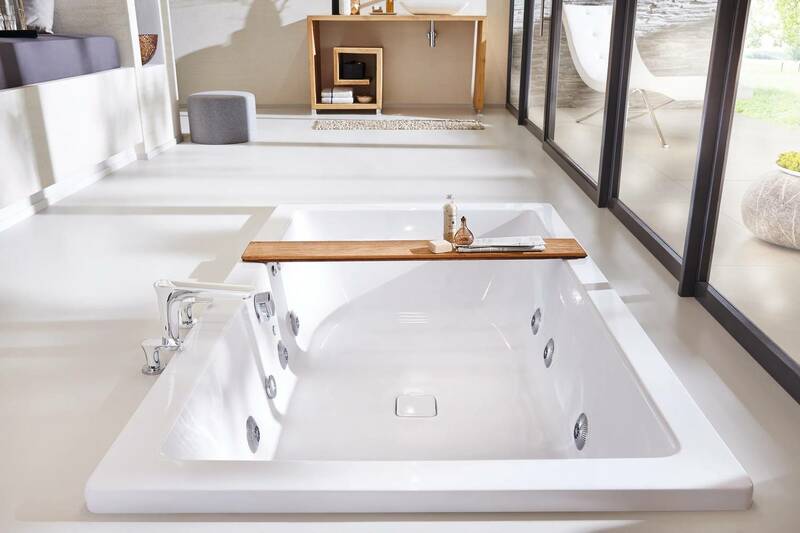 For two relaxing together, the duo bathtubs by Kaldewei provide maximum comfort, offering an exceptionally spacious interior with two ergonomically shaped backrests and a central waste and overflow cover. Technology fans want more from their bath. They love technical features that are easy to operate and just as quickly transform the bath into a special experience. With this in mind, Kaldewei developed the electronic control unit Comfort Select and the bath audio system Sound Wave for the bathtub. Comfort Select puts control of the water inlet and outflow, water temperature, and shower or bath function simply at the tip of a finger. Sound Wave plays back music via the bathtub from a smartphone, tablet PC or any other Bluetooth-enabled device entirely without the need of loudspeakers: the system is concealed under the panelling, transforming the bathtub into a unique sound box. Whatever the individual preference: Kaldewei offers bathtubs made of steel enamel as the ideal solution for any bathing type. Kaldewei Conopool with Vivo Turbo. Kaldewei offers seven different whirl systems, in combination with bathtubs made of Kaldewei steel enamel, for the individual wellness routine after sport, each meeting the highest standards of comfort, safety and hygiene. The Kaldewei Conopool with Vivo Turbo, for example, boasts an exceptionally generous interior that guarantees the ultimate bathing experience. Kaldewei Conoduo with Skin Touch. Bathing for beauty: Kaldewei Skin Touch transforms the bathtub into a fountain of youth: The natural power of oxygen – in the shape of microfine air bubbles – revitalises skin cells, resulting in more supple, smoother and younger-looking skin. 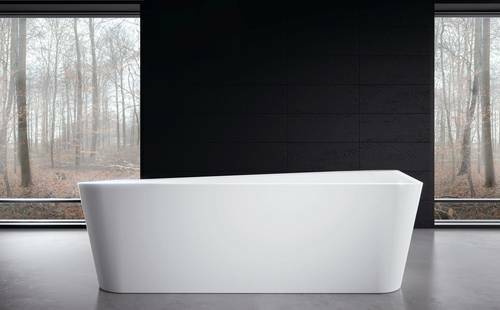 Skin Touch is available for most of the around 200 Kaldewei bathtubs. Meisterstück Emerso bathtub. Time out to relax: Designed for a single bather, the Meisterstück Emerso bathtub by Kaldewei is the ideal place to retreat after a stressful day. This freestanding model appeals with an aesthetic design and promises the ultimate in bathing comfort. Meisterstück Asymmetric Duo with Kaldewei Sound Wave. Kaldewei Sound Wave transforms the bath into an experience: With the bathtub acting as the sound box, the system needs no loudspeakers, enabling the user to immerse in favourite tunes. Sound Wave can be combined with all Kaldewei bathtub models.